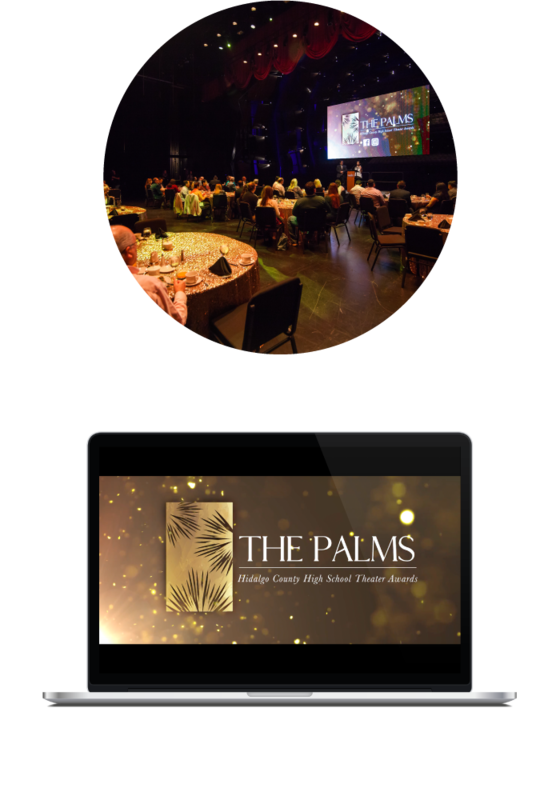 The Palms enlisted the help of Triggers’ video production team to capture footage from the annual performance and awards ceremony. The Palms is an annual awards ceremony held at the McAllen Convention Center. The event, which honors high school drama students, consists of live performances, a sit-down dinner and an awards presentation. The Palms commissioned the help of Triggers’ video production team to shoot and compile a highlight reel of the event to be used for marketing and promotion. Triggers’ media production team storyboarded and captured footage of the event. The footage captured was used for a 30-second promotional video, an award recap, video slides for live event presentation, and a highlight video of the main event.